Rights groups challenged the separations and a federal judge in California ordered the families brought back together by July 26. 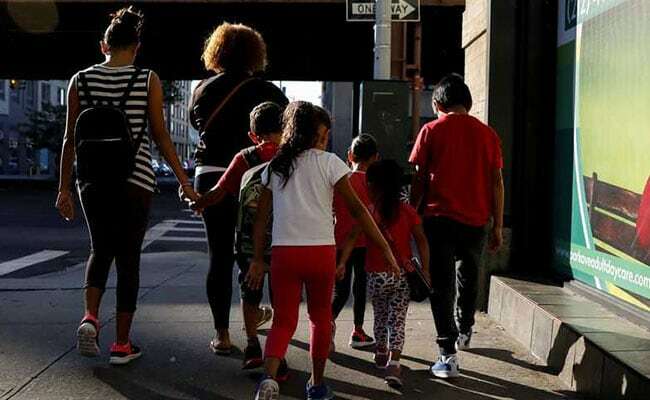 The US government continues to hold 565 illegal immigrant children in custody, three weeks after a court deadline to reunite them with parents or guardians, a court filing showed Friday. That included 24 children five years old or younger being cared for by the Department of Health and Human Services' Office of Refugee Resettlement. ORR reported the parents of 366 of the 565 children were outside of the United States, making reunifications difficult. The parents of 154 of the children indicated they did not want to be reunified with the children, it said. And for over 180, the children could not be handed back to parents because the parents were flagged as threats to the children, were separately held in law enforcement custody, or were facing separate litigation. Earlier this year, the government separated more than 2,500 children from their parents after families crossed the US border with Mexico illegally intending to stay in the country. The Department of Homeland Security, which polices illegal immigration, said a number of parents accepted being sent back over the border, leaving the children to remain in the United States and hoping to join them later legally. ORR said in the filing it continues trying to place the children back with their parents or relatives within the United States.